Can I restore an image backup of one computer onto another and have it work? - Ask Leo! The concept seems simple: take a system image of one machine, restore it to another, and avoid lengthy setup time. Unfortunately, it's not that simple. It’s not a question of “allowing”. The real question is: will what you’ve just restored then work? Most of time, the answer is a very short “no”. I’ll explain why that is. What you’re asking is an extremely common question – so common that I discuss it in each of my “Saved!” series of books on backing up. Since an image backup contains the entire system, many people would like to use it when moving to a completely new machine. The concept is simple: restore that image backup to a new or replacement machine, and carry on where you left off. That’s not what image backups are for. Restoration of the entire system to a known good state on the same machine – for instance, in case of malware infestation. Restoration of the entire system to a replacement hard drive on the same machine, as in the case of a hard-drive failure. Restoration of specific files, typically data files, onto any machine, anywhere, at any time (even the files you didn’t know you needed), because the backup contains everything. Restoring a complete image backup to different hardware isn’t on the list. When you install an operating system, the set-up program goes through what appears to be pretty much the same sequence on every machine: you enter the product key, type in a little information, tell it what machine name you want and perhaps the time zone, and pick an administrator password. Then, set up goes to work, showing a progress bar or some propaganda information about the benefits of the operating system you’re installing and how wonderful your life together will be. What happens behind the scenes is significantly more complex. Every machine is different from every other machine, and it’s during installation that those differences are accommodated. Once it’s set up, Windows is highly customized to the specific characteristics of your specific computer. The problem is that a backup image of any machine contains a version of Windows specifically configured for the computer on which the backup was taken. Windows won’t even boot. This is fairly common. Windows may “run”, but will be unstable or present an assortment of error messages. Windows may appear to run, but at some point later you may discover instability or other problems that defy explanation. I suppose in some cases, it could just work… but it’s not something you should count on. Restoring to a different machine might work if…. It is possible for the scenario to work, but several conditions must be met. The motherboard on the two machines must be similar. What does “similar” mean? There’s no real definition: motherboards often have a variety of hardware that require a specific set of drivers in order to work properly. Ideally, the motherboards would be identical. For individual devices that are not identical, they, too, must be “similar”. Once again, the degree of similarity depends on the specific device and the capabilities of the driver installed. For those individual devices that are not even similar, then they must be optional, meaning that the system will run properly without the device. If those conditions are met, maybe it’ll work. And it’s a huge if. It’s possible that Windows will be able to boot, notice that some non-critical hardware has “changed”, go through the process of updating itself (perhaps asking for driver or installation disks), and actually run. What you’re suggesting is actually a very common approach to installations that have a large number of identical machines, but the further you stray from truly identical machines, the lower your chances are of this approach working. Install Windows from scratch if it didn’t come with the machine to begin with. Install your applications from scratch. Restore your data files from your backups. Make a backup image so you don’t have to repeat steps 1 through 3 again should you ever need to restore this machine to its initial condition. Restore the entire machine from your image backup. Because that’s exactly what a backup is for. Before we give up on the concept entirely, I do want to point out that there are tools that can sometimes help in situations where an install from scratch is something you really want to avoid. Redeploy is a feature available in some versions of my recommended backup program, Macrium Reflect, that specifically attempts to restore an image configured for one machine to another. I’ve used this once or twice successfully to move a backup image of a friend’s computer onto a virtual machine (another case of completely different hardware). Other companies, particularly those with backup programs, have additional solutions to address this scenario. 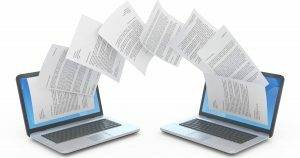 While not quite the same, several companies provide utilities that promise to transfer programs and settings from one installation of Windows to another. Quite often this is what folks are looking for when they think of using an image backup to transfer setups between computers. The solutions I’ve seen in both realms are not free. In addition, the problem being solved is incredibly complex. If you do go this route, I would proceed with caution, which means backing up early and often as you perform the transfers. I much prefer the clean install approach. The result is typically a significantly faster and more stable system. Can my backup programs restore my settings to a new machine? - Programs and settings aren't easily migrated to a new machine. For the most stable upgrade you'll want to work from scratch. « Previous post: Why am I getting email from someone with the wrong email address? I sent a laptop into Acer for repair. They replaced the motherboard and possibly hard drive & DVD player, and naturally put it back to factory specs. I restored my image and booted. Even on the same machine Windows needed to validate it AGAIN. It did work but made me a bit nervous. On a completely different machine, a retail version might work. Most of us probably don’t have retail, though. P.S. That was for Windows 7 Home. I’ve done this successfully on two different models of Dell machines running xp. My Older Dell 2300 had a number of problems and I didn’t want to go through the headaches of reinstalling XP and all my programs and then all the updates. I also had a Dell 2400, with a different motherboard, but had most of the programs I needed and was running well. I used an Acronis Image of the 2400 and restored it to the 2300. After rebooting and finding most of the right drivers automatically, with very little work on my part, the Dell 2300 was up and running in a lot less time than reinstalling XP. Acronis True Image has an addon purchased separately that allows a backup to be restored to a different hardware configuration. So, if you do a restoration with a larger hard drive or to a new PC it is supposed to work. I haven’t tried it yet to be honest. 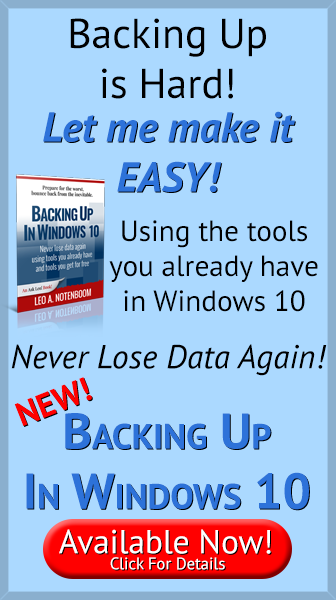 Actual backup software can copy most files in use. File copying utilities such as SyncToy, of course, cannot. A couple of additional articles on the topic: What’s the difference between disk imaging and copying? Can’t I just copy everything instead of using a backup program? When I upgraded from Windows XP to 7, all the original content of my system drive was saved into the windows.old folder. Then, it was very easy to take installed application and data and transfert them to the new OS. Most of the time, all that was needed was to simply drag the installation folder from XP’s programmfiles folder to 7’s programmgiles folder, and do the same with the content of appdata. So, you don’t endup whiping the original content of the drive during the installation process. I have a hard time believing that would work in most cases. Most programs write information to the registry and have components in other folders on the hard drive which would all have to be located and copied. I’m guessing you copied a bunch of DOS-based programs. Windows-based ones generally must insinuate themselves into the operating system by installing & registering .DLL & .OCX files among others. This is why it’s best to run the program’s install routine on the new PC. Expect heartbreak with your method. My understanding is that Microsoft will not allow you to install the same copy of the Windows operating system on more than one computer. If the second computer has a significant number of different components (e.g., mobo or CPU) the installation will not succeed. Please correct me if I’m wrong. It would certainly make my life a lot easier. Newer versions of Windows look around on your peer-to-peer or server network and identify duplicated authorization codes. When one is found, it generally shuts the 2nd found instance down. RE: the Microsoft installation. I got the lockout trigger once when I installed a copy of XP pro upgrade on a laptop with XP home because the hardware signature was so different. It was originally on my desktop. I had bought a full version of XP pro for the desk top so wanted to upgrade the version on the other PC to pro as well. Per the message I had to call Microsoft. I did and explained to them I had bought an additional copy of XP and had moved the upgrade to the laptop. I told them it was only installed on one machine. They were very nice -not third degree or treating me like I was a criminal- and from beginning to end I was up and running in under 10 minutes. I have used the Paragon app that allows restoration to different hardware (it replaces the inappropriate drivers with correct ones), but the sticky wicket is that the restoration will have to be re-activated once it is up and running. The original installation cannot legally be run once the new one is activated. Another way to do this successfully is by doing a repair install of Windows after copying the backup to a new drive. I’ve done this for friends on many occasions and only rarely has it not worked. An interesting approach. I like it as something to try when this is neccessary. it is possible to restore a full backup on a different computer.1.restore full backup. dont boot the system now. 2. insert original windows cd and start. accept first option to install.3.reject option to repair from console and continue 4.when repair option is offered accept.allow windows to complete the installation and allow to finallyy boot.5.now run the original motherboard drivercd of this new machine.6. if necessary reinstall or renter serial numbers of some applications if they demand(some antivirus may ask for reentering serial number. that is it. the machine should now work almost perfectly. if required sort out minor problems like vga drivers etc. I was under the impression that some programs like Shadow Protect provide for Hardware Independant Restore. Different Companies use different terms for this but there are several out there. Are you saying that these won’t work? I’m getting more reports that these tools may indeed provide a path – albeit a sometimes complicated path – that may frequently work. It’s not something I’d like to rely on, but if you’re in this position they’re worth investigating. Naturally, this was not good for Microsoft and that is probably why they stopped that “convenience” after Windows 98. Generally, if you replace the motherboard in a machine with Windows 2000 or later, Windows will blow up while it boots. And yes, as someone else pointed out, you can boot from the Windows installation CD and run a “repair” operation on the existing Windows directory and everything will be well. Almost everything. Some software will not. AVG, for example, will not run after a “repair” operation. I seem to have managed this trick. I was given two computers, one made by Tiny & the other an old Acer. The tiny pc was full of infections & almost unusable. I took the hard drive from that & scanned it with my av in another machine. (My pc decided it would change the boot sequence to the added drive). Thats not good when its got viruses but i knew from past experience that would happen & went into the bios & changed it back before it got the chance to boot from it. So i got rid of all the infections found & put the drive back into the Tiny pc. It was better but blue screened every now & then. I discovered the Joys of the i386 folder & re-installed. Its seems ok now. And the other pc was given to me without a hard drive. It did have the xp home serial number on it though. Trying the i386 instal failed because it asked for a service pack two disc. I tried making one & got no where. So then i put an image of the Tiny pc on another drive & put that in the acer machine. I let it boot into safe mode, after some time it discovered new hardware & installed that. After re-starting everything in device manager was ok except for the audio. I thought that was strange because the ac97 drivers used in the Tiny pc worked just fine when i told windows where to look. Also activation worked fine for me too because i had the correct serial number for both sets of hardware. I have an hp laptop. All i need to do is upgrade it from vista home premium to windows 7 but then the c drive will be formatted and i will lose everything. So, if I backup the drive first and then install windows 7, will the backup work on the new operating system? Keep in mind that I have some original registered softwares like office 2003 and I want all these softwares back as they were last time. Please someone help me with this if you can (my laptop turned super slow with vista). Yes, it is possible and i now believe it will work just the way i want. I installed a program from the microsoft website which detect other applications installed on the system and state whether they are compatible with windows 7 ultimate or not. Only some useless programs will not work, otherwise the upgrade will be very successful. Thanks a lot. Restore image to ANOTHER HARD DRIVE not the one with the operating system on it. Transfer data files from separate HDD to new computer hard drive. That way you have not destroyed the new system operating system and have everything you want to use..
Now with two HDDs you have twice as much storage. I have the Acronis Mirror Image on two different HDDs – If I need to buy a new motherboard, will I be able to migrate ?? And If I save the Acronis Mirror Image to Carbonite, will I be able to mgrate from there ?? You simply need the image available on a disk you can connect to your machine. A new motherboard may cause the machine to be enough different that a simple restore may not work, but you’ll certainly be able to recover individual files from the image. A an example, what if my motherboard goes and I decide not to change it and just get ride of the machine. with the back-up saved to an external HD, would I be able to pick and choose files from the back-up and then simply paste them to a new machine. ie. , Word, .xls, .jpg, .mov files etc…rather than trying to restore the back-up to a new machine. Restoring an image backup to a new computer probably won’t work. But yes, you can retrieve individual files from the backup, and that’s very important. It’s so easy to forget about an important file off an old computer when doing an upgrade like that, or even when formatting. That’s one of the beauties of taking a full image. I remember once, a long time ago, I reformatted my computer. I thought I had everything backed up manually, but forgot my Outlook .pst file! I lost all my emails. I had to send my Acer laptop to them for repairs. One repair was a new motherboard. I had wiped the hard drive after taking an image of Windows 7 Home Premium on C.
I restored that image after imaging the factory Windows 7. Windows needed to be revalidated even though it WAS THE SAME machine except the motherboard. But the validation worked, yes? That’s expected – if something changes “enough” you may need to revalidate. A new motherboard is essentially a new machine. Everything else are considered to be peripherals. The main point of your article is absolutely correct. I purchased two “identical” laptop computers, yet the two machines, out of the box, had two different sets of drivers and slight hardware differences. There is no way I would have tried backing up one machine and restoring it onto the other. I had to do a clean reformat whilst I am away so will reinstall windows (using bootcamp) when I do can I transfer my programs onto the new windows? Installed programs can’t be transferred. They must be re-installed from scratch. You should be able to do this at any time. that i can copy his system or at least file history or something to make it install on my pc too. Check the copyright on the contents. Downloading more copies than is allowed would be piracy. Maybe someone has the skills to get a copy, but it would still be wrong. I have managed to put the hard disk from one desktop of which I blew the motherbord into a new PC of totally different nature and everything ran without the slightest problem. In fact, the user (my wife) didn’t even notice I changed anything until a week later, when she saw that the start button of the computer had changed places. It was with an Ubuntu system. In fact, the property of being able to use the backup image on a new machine is in my opinion, an important part of the backup function. Indeed, if the original machine fails catastrophically, it is necessary to be able to use the image, because if the backup image can only be restored to the original machine, and that machine is completely wrecked, then you can hardly call it a back up. Of course, in most cases you can restore the file structure of an image, even if the system itself is not bootable any more: you can get back all of the files. But it can be a nightmare having to find them, spread around the whole file system tree. So the idea of being able to use the image backup directly on a new machine is nevertheless an important aspect of the function of “backup”. There are many instances where this wouldn’t work, and it might be that Ubuntu is more forgiving. So thanks for the info. In fact, this works essentially all the time for any linux distro, on condition of course that the processor is of the same family, where “family” is the more restrictive the more you’ve specially targeted compilations from source to your original machine (for instance, if you have recompiled stuff especially for an intel i7 processor to take all advantage of that specific hardware, you will need of course to use it on a new PC also with an intel i7 processor, and probably with an i3 or an AMD it will not work). Usually, the downloaded and installed *binary* distributions from repositories are relatively large-target (x86 family, or amd64 family), so there you simply have to use the same broad family of machines (an amd64 installed system will not turn on an x86 computer, nor on an ARM processor). – It might be that you have to re-install grub (the bootloader) separately on the new machine. – if you were using propriety drivers, say for the video card, and you have a different card in the new machine, they may need to be disabled (and use the generic Linux kernel drivers instead, with reduced performance). This can be done by putting a standard xorg.conf file instead of the one specifying the propriety drivers. – if the disk configuration of the new machine is totally different (for instance, contains raid disks that weren’t present on the old one, has more hard drives etc…) you may have to edit the /etc/fstab file to put it in conformity with the new configuration. a) It might very well be that after restoring the image on the new machine the bootloader is OK. Then there’s nothing to do, it will boot without problems. With a *disk* image by clonezilla, that should normally be the case (instead of *partition* images, where the MBR is lost). b) if it doesn’t boot, you should simply boot your system from the live CD of your distribution (for instance, if you copied an Ubuntu 14.04 system, you should make the live CD of Ubuntu 14.04 and boot from there). With your live CD booted, you can now simply invoke a repair of the bootloader on the harddisk. It will recognize the installed system and put the correct bootloader configuration in place. So most of the time, you really *can* just copy a linux image from one machine to another machine, if it is in the same processor family. Actually, at my work, we do this all the time: we have a “standard image” of a Debian distribution with our own software on it, and we can just clone it to any machine we like. I’ve restored a backup from one computer to another. It booted, but it took a lot of work updating and uninstalling drivers and getting rid of incompatible utilities designed for the original computer. This is not for the casual user. And I was lucky. It was a different model but the same manufacturer. There’s a strong possibility that a driver necessary to booting Windows may be incompatible with the new machine, and it simply won’t work. It doesn’t surprise me, though, that the Ubuntu transfer works. This is an issue I wouldn’t expect Microsoft to address, as that could facilitate OS piracy. Indeed, the linux kernel configures hardware *on boot time*, not during install (unless people have done that by hand afterwards with specific propriety drivers). During boot, the kernel sniffs for all hardware around, and activates those modules that go with it. So the kernel, and all its modules, are essentially generic (within a given processor family). But I thought that the windows kernel had evolved towards a similar way of doing things, so I guess it is more a question of propriety politics rather than technical issues why a windows system won’t be transferable between different machines. Dell is replacing the drive and Motherboard on my 2-month old XPS 13 9350 due to hardware failure*, a Proprietary OS image is included with the repair parts order. Is this still considered the SAME computer, as in article requirements? 1. Presuming the Motherboard is identical…or nearly identical, would I then be able to use an image (as in article) created on existing system to restore added programs and files? 2. Since there is a hardware failure*, would any image I create have corrupted or missing information…and should NOT be used? 3. Are manufacturer repairs like this common, affecting many users use of an image (as described in the article). Or, is this a whole different restoration issue? Thanks for the consideration and response. I would expect it to work, if the motherboard is identical. Certainly worth a try. I have installed an image of Win xp on same hard drive. Before deplying the image I formatted the entire hard drive and made same changes in partitions. Win xp is working fine, However, the custom made company software, which is the important thing to keep, is not working. A wrong authorization code message appears. I read in many formums and discovered that maybe the software checks the Volume Serial Number of the partition, and this must have changed due to formatting. How can I get the original VSN from the saved image (Ghost image) to change the current one to it ? Hi, I have a windows backup off my machine and have recently reinstalled windows on the machine. When I try to make a restoration it will not show me the old version as an option. I do not know (so far) how to fix it and would love to get help. It is the exact same hardware, except that there is now also an SSD. The SSD was were I installed windows 7 (with was the same OS as before). The PC is an older (bought ca 2007-2012) budget gaming PC. 2015 I built a new PC and did not use the older machine that much. At some point I tried installing Gnome but I did not like the distribution of Linux, I tried to then install Arch Linux but did not succeed. Know after have moved to a new apartment I wanted to get it running on the backup. Acronis Universal Restore address this issue of dissimilar hardware. Any experience with it? No I have not, thanks for the tip. I will have to try it. Macrium Reflect and EaseUS Todo both have restore system to dissimilar hardware included in their higher end versions. I’d also like to hear from anyone who has tried those out. I’ve restored Windows to different machine and it took a lot of tweaking to get it to work but I managed to get them to work. I have two HP Elitebook 8470P laptops. One has an operating system windows 7 professional that came with it and the other did not have any OS installed. In the past I was able to create system recovery/bootable disks from and OS installed machine and use that for another machine without any trouble, but this was in the windows xp era. However, when I created a recovery disk and tried using that to boot in the other machine, it does not work. Any suggestions as to how to make this work? It depends entirely on HOW it doesn’t work. What happened when you tried? Also, what you’re attempting is probably not legal. Most operating system installations are licensed either to a single machine, or a single machine at a time. What it sounds like is that Windows recognizes that it’s being installed on a different machine than it’s licensed for and is not allowing it to be activated.